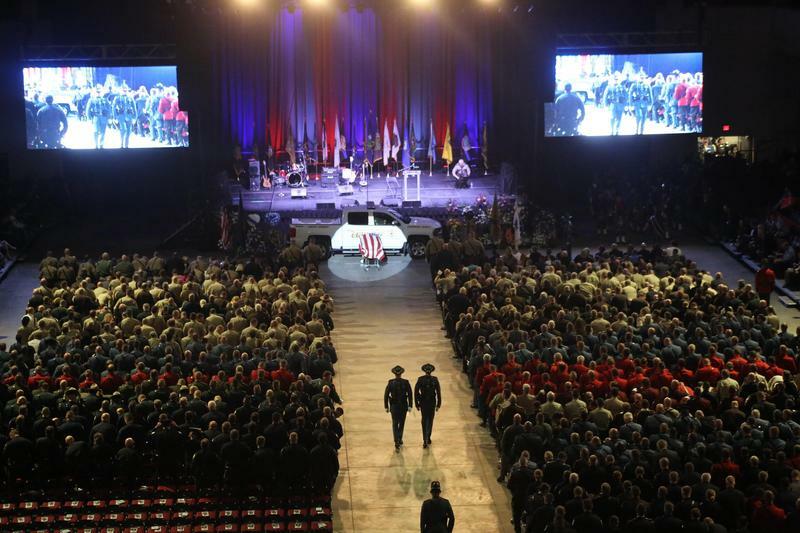 Officers from around the state and region attended the funeral for Cpl. Eugene Cole at the Cross Insurance Center in Bangor on Monday. An online fundraising effort to cover some unanticipated costs related to the staging of this week's funeral for Cpl. Eugene Cole of the Somerset County Sheriff's Department has exceeded its $20,000 goal. Brandy Ellis, of Brewer, said that while the funeral costs were covered for Cole's family, some additional expenses of about $18,000 related to sound reinforcement and video services were not. "We didn't want that expense to be passed along to the Cole family, so I did kind of volunteer to set up a Go Fund Me page Friday of last week, so just shy of seven days, here we have not only met but exceeded our original goal of $20,000," Ellis said. Ellis added that she was not entirely surprised that her fundraising effort reached its goal in less than a week. "I do think that $20,000 in a week is a lofty goal, I'm not surprised in some ways by the commitment and the generosity of the folks in Maine," Ellis said. "I'm happy to see that we have met and exceeded that goal in a week." Ellis said any additional funds exceeding what is needed to pay outstanding bills will be forwarded to Cole's family. Cpl. Cole was shot and killed in Norridgewock April 25 while attempting to locate John Williams, of Madison, who has been charged in connection with his death. 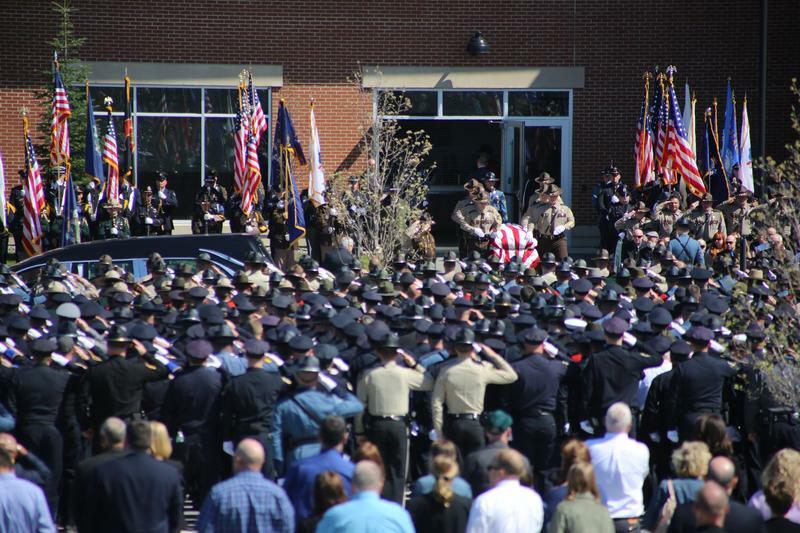 More than 3,000 law enforcement officers from around the state and nation turned out in Bangor Monday for a memorial to Somerset County Cpl. Eugene Cole, the deputy sheriff who was killed last month in Norridgewock.